Ingrid Semaan is a committed feminist activist who has worked on campaigns against gendered violence and for reproductive justice, workers’ rights, and peace and justice in the Middle East. 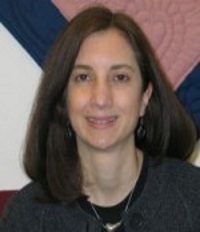 Ingrid received her Ph.D. in Sociology in 2006 from the University of Massachusetts-Amherst. Her dissertation, “Beyond Staying and Leaving: Battered Women’s Responses to Abuse,” is a qualitative study of the ways battered women respond to abuse, with an emphasis on the ways that they resist abuse. Semaan, Ingrid, Jana L. Jasinski, and Anne Bubriski-McKenzie. 2013. “Subjection, Subjectivity, and Agency: The Power, Meaning, and Practice of Mothering Among Women Experiencing Intimate Partner Abuse.” Violence Against Women. 19(1): 69-88. Bubriski, Anne and Ingrid Semaan. 2009. “Activist Learning vs. Service Learning in a Women’s Studies Classroom.” Human Architecture. 7(3): 91-98.